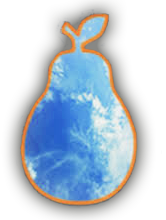 The term 'PEAR' or 'us' or 'we' refers to the owner of the website. The term 'you' refers to the user or viewer of our website. From time to time, this website may also include links to other websites. These links are provided for your convenience to provide further information. They do not signify that we endorse those website(s). We have no responsibility for the content of the linked website(s). Your use of this website and any dispute arising out of such use of the website is subject to the laws of the United States only.